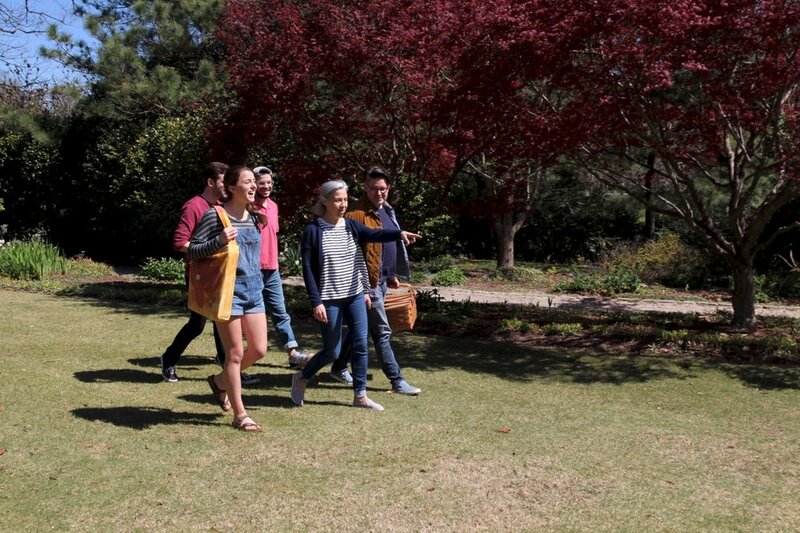 The Bloom Blanket equips families to enjoy time together in nature. At a compact one and a half by one and a half feet in its closed position, it is ideally portable and light-weight for outdoor excursions. 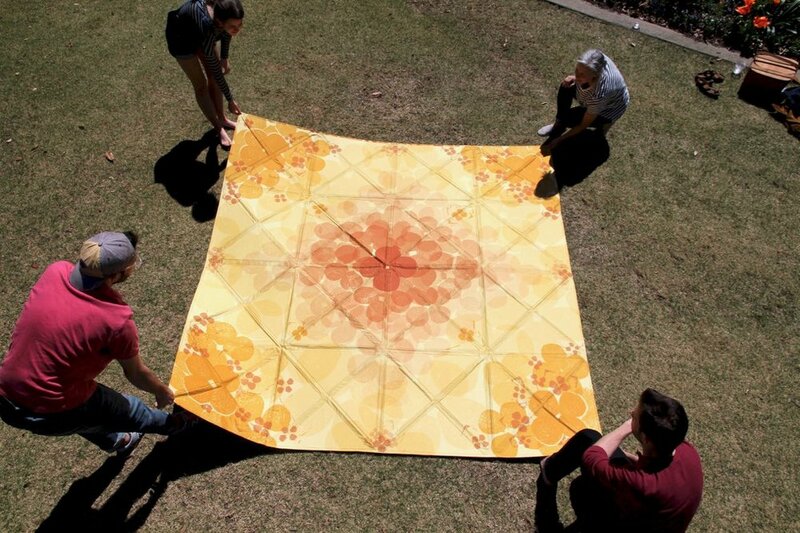 The blanket unfolds to a full eight by eight feet to comfortably accommodate up to four or more people for a picnic. Its structure, a flexible, triangular grid with stabilized interior areas, aids in the folding process and also provides padded seating. 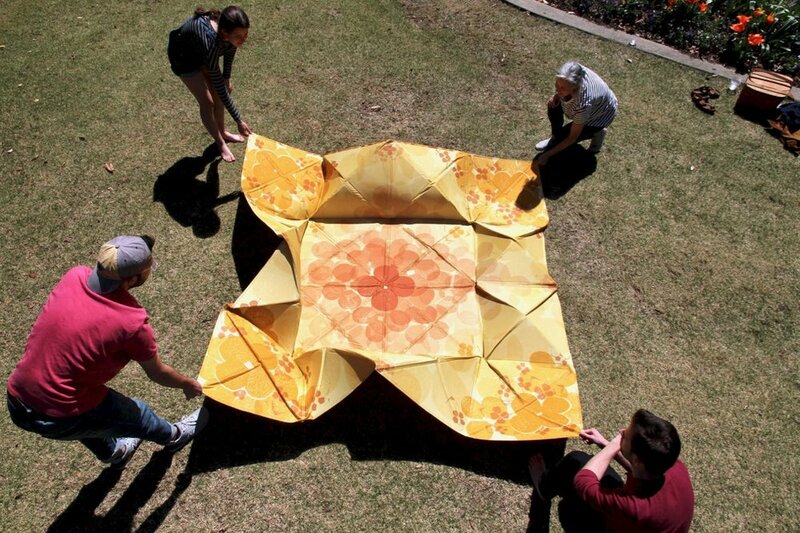 After removing the blanket from its carrying tote bag and setting it onto the grass, the four corners can be pulled outward causing the blanket to bloom open like a flower. This fun transformation while setting the picnic incites a cheerful attitude for the outdoor meal. The blanket can be laid out in a variety of fresh and attractive ways, allowing the users to play and invent their own composition depending on their group-size or mood.